March | 2011 | takilya ni leaflens - dakilang #filmmiron ever! Commercial muna. Feel free to repost this please. 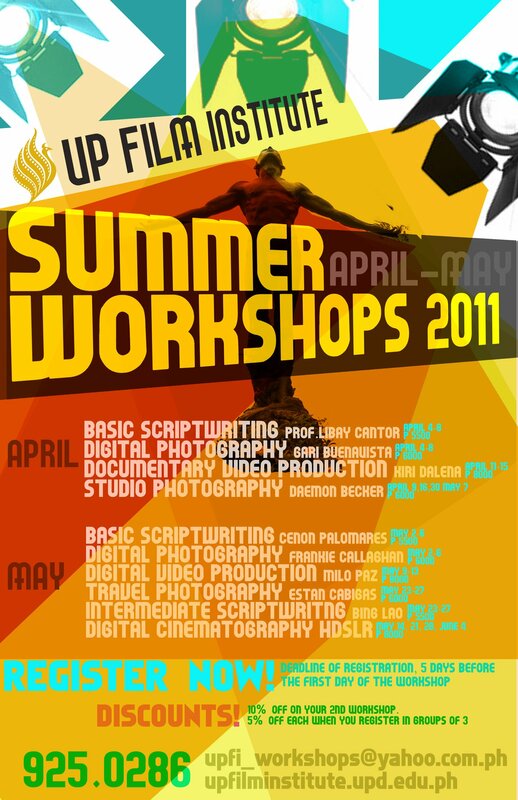 I’m going to handle the first Basic Scriptwriting Workshop session this summer for UP Film Institute. This is open to anyone who wants to learn this new skill or just plain curious about this field. No media background necessary. If you’re interested, just contact Mich at the number below. If there are still slots available after the registration deadline, you can still be accommodated. The goal of this workshop is to introduce scriptwriting to a general audience. The lectures are specifically designed for those who do not have any formal/informal background or experience whatsoever in filmmaking, media, the arts, (other forms of) writing and the humanities in general. It could also serve as a good review for those who have the aforementioned background and who plan to start working in the field of film and TV scriptwriting. The workshop will cover an overview of the film/TV industry and a brief introduction to basic filmmaking language as applicable to scriptwriting, discussions on the anatomy of a screenplay, learning scriptwriting essentials, studying narrative structures, characterization and story plotting. Prof. Libay Linsangan Cantor is a two-time winner of the Don Carlos Palanca Memorial Awards for Literature in 1997. She used to have a literary column entitled “The Scribe Vibe” at the Manila Times newspaper’s Sunday Times (2008-2010). She now contributes regularly to the Philippine Online Chronicles (POC) Pinoy LGBT channel online webzine by Vibal Foundation since June 2010. A trained TV/film scriptwriter, she won honorable mention for her full-length screenplay at the 1998 Film Development of the Philippines Inc. (FDFPI, now known as the Film Development Council of the Philippines) annual screenwriting competition. She began scriptwriting for children’s TV shows in 2001 with the ABS-CBN Foundation-produced Epol/Apple educational program. In 2006, she began directing for TV, handling the Saturday morning TV show Lovely Day for GMA-7. She also scripted several seasons of other GMA-7 children’s shows Happy Land and Sunnyville in 2009-2010 and also directed selected episodes of both shows. She is currently part of the scriptwriter’s pool of an upcoming ABS-CBN 2 TV show. Prof. Libay has a BA in Film and Audiovisual Communication degree from UP College of Mass Communication and an MA in Creative Writing from the UP College of Arts and Letters. 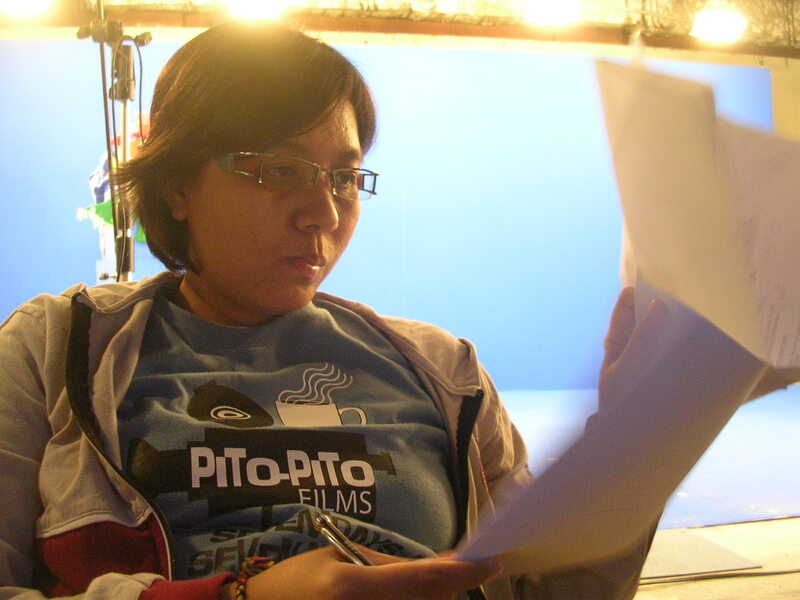 She teaches basic scriptwriting, narrative cinema, basic filmmaking and directing courses at the UP Film Institute. * 10% discount on your 2nd workshop. * register in groups of 3 to get 5% discount each. WORKSHOPS ARE OPEN TO PUBLIC. 2. Fill up a Registration Form. 3. Pay P500 or in full.